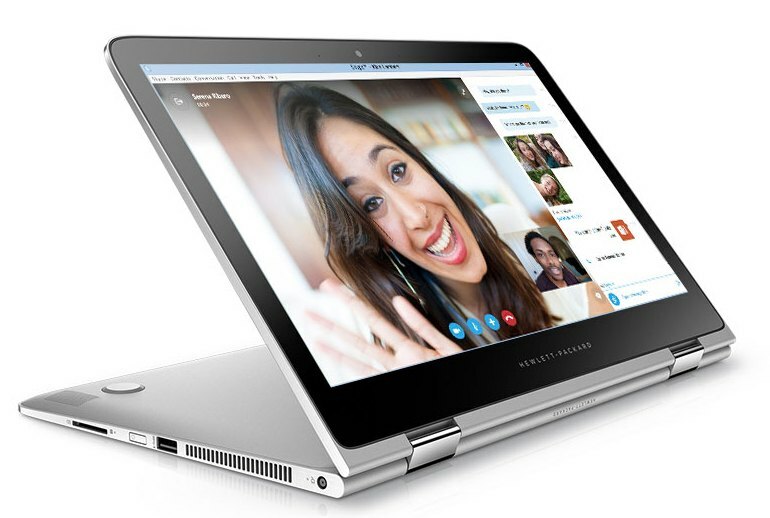 With an all-metal body and premium design details, this laptop will turn heads at coffee shops. 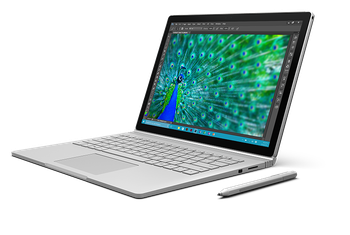 The upside to a slightly heavier 13-inch device is you won't be lacking ports and slots. Its relatively large battery should last anywhere from 6 to 10 hours of normal use. The extra-wide trackpad may take some getting used to. At just over 3 pounds, this is not the lightest 13-inch convertible on the market. This HP flagship's speakers are nothing to write home about. 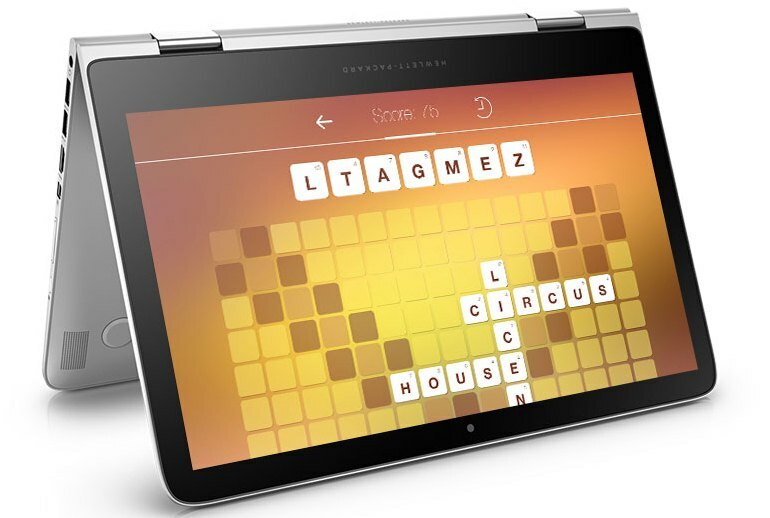 Developed in close collaboration with Microsoft, the Spectre x360 is HP's answer to the Lenovo Yoga line of convertible laptops--premium devices that can go from clamshell to tablet with a flip of a 360-degree hinge. 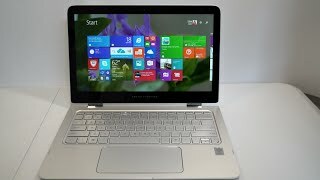 Made of solid aluminum with a full selection of ports and slots including a full-sized SD card slot, this HP flagship is easy to love with its comfortable keyboard, extra-wide trackpad, fast load times, and up to 12-hours of use on a single charge depending on its full HD or 4K touch display. The only slight imperfection is that in tablet position, the lid doesn't fit right up against the base due to the bevelled design, which isn't perfect for its handling as a slate. The result: This Windows laptop doesn’t just run smoothly, it has essentially been “performance tuned” like a Formula One race car to make every operation happen as quickly as possible down to the last fraction of a second. Even turning the PC off, sometimes a tiresome wait, takes only five or six seconds. Thanks to the excellent display, I could discern all the dark details inside the House of Black and White, while the speakers clearly projected everything from gravely dialogue to the sharp clash of swords. Because the x360 is slightly bulkier than its rivals, it can accommodate a cushier keyboard and a bigger battery, allowing for nearly best-in-class runtime. It also makes room for a ton of ports. You cannot listen to it for a long time, the hissing and clicking from the two bottom-mounted speakers is just too audible. 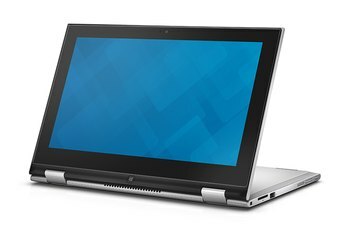 To top it all off, even with a more complicated geared hinge, there's less bulk associated with the hinge hardware than you'll see on other multimode laptops, with the possible exception of the Lenovo Yoga Pro 3's watchband hinge. 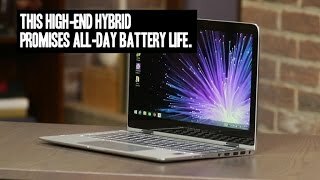 It's battery life that really makes this system stand with the best in its category, with the Spectre x360 running for exactly 12 hours in our video playback battery drain test. 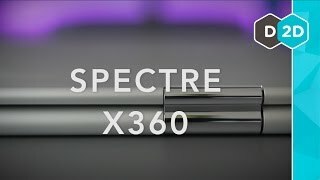 Like cookware, aluminum-clad notebooks tend to absorb heat, and the Spectre x360 is no different. 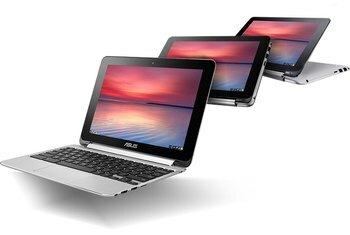 Frankly, I’d probably trade the XPS 13’s compact size for the Spectre x360’s keyboard in a second if it were my everyday driver. 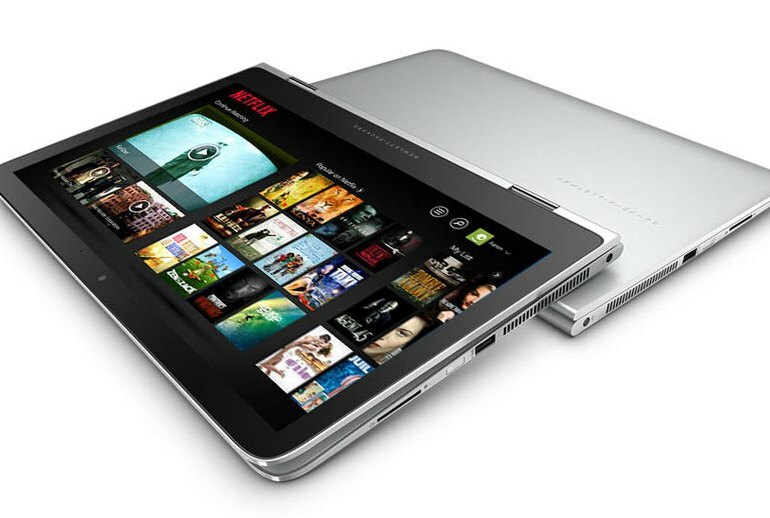 The x360 is built like a lavishly designed and decorated tank. 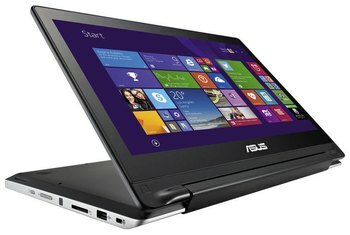 Picking it up conveys a robust, solid feel that doesn’t vanish no matter how the laptop is handled. It looks absolutely fantastic and I thought for sure it was going to be priced at more than $1,500. Unfortunately, I can't sing the same praise for the trackpad. HP made the trackpad extra wide — a boon for multitouch gestures — but the mousing is horrific. To equate this HP to the MacBook line-up, it's more powerful than the MacBook Air 13, but a bit less punchy than the MacBook Pro 13. Okay so this is super geeky but I can’t get over how awesome it is have a full-size SD card inside a thin laptop without it sticking out.